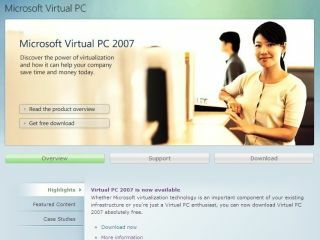 Microsoft has announced Virtual PC 2007. The application enables you to install multiple operating systems on your PC and is available as a free download. You can also switch back and forth between operating systems just as you would between user accounts in Windows XP and Vista. The new software includes support for 64-bit operating systems, as well as the ability to install operating systems over a network.